Teachers are busy and it’s hard to keep up. In my 20th year of teaching, I understand first hand that many teachers simply don’t have the time to peruse the web for EdTech resources. So each week, I share one EdTech resource with a brief description as to how it can help teachers improve instruction and student learning. My hope is that this will help teachers incorporate more technology in their classrooms, preparing students for their future instead of our past. Interested in working with me? Contact me directly nick@edtechpicks.org or get more information here. 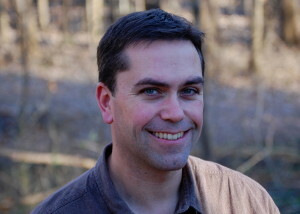 Nick LaFave is an Instructional Technology Specialist and former district teacher of the year from Clover, SC. Nick is an Apple Distinguished Educator, a National Board Certified Teacher, and also works as an Ed Tech consultant and speaker. Nick’s professional development sessions strive to give teachers the confidence they need to help integrate technology into their curriculum.